It’s the time of year when organizations and publications try to put a face on the preceding 12 months. Time Magazine has its Person of the Year, which went to Pope Francis recently. Sports Illustrated has its Sportsman of the Year, which was awarded to Peyton Manning (in what could be construed as another sign of the overhyping of the NFL, giving Mariano Rivera and David Ortiz would have been perhaps more reasonable selections). With the ending of our first calendar year here at The Cardinal Conclave, we wanted to start a tradition as well of naming the Conclave Cardinal of the Year. This award should go to the person tied to the St. Louis Cardinal organization that stood out the most over the year. It’s not necessarily the best player or the top pitcher, but someone that truly represented the club during the year. The initial conversation starter had a number of strong nominees. Matt Carpenter‘s stellar season was considered as was the work Yadier Molina did both behind and at the plate. Michael Wacha was not only suggested on his own merits, but as a representative of the influx of young pitching that was almost overwhelming at times in 2013. John Mozeliak’s work at shaping a team that returned to the World Series, then improving it without using his top trade chips, put him in the running. And yet, even with all the possibilities, with all the remarkable candidates, there was only one name that could be chosen. Our 2013 Conclave Cardinal of the Year is Stan Musial. If you weren’t a Cardinal fan or from the St. Louis area, it seems hard to imagine that a man that passed away only 19 days into the year could have that kind of impact throughout the season. Those that knew Stan Musial, though, would not be surprised at all. Stan’s goodness, decency and, of course, amazing baseball ability set him on a pedestal throughout his life, a pedestal that he was never knocked off of even as he continued to try to climb down from it. Stan was not a celebrity in his mind, just a blessed individual who always wanted to do what he could to brighten someone else’s day or to help some one out. If you didn’t leave with a smile, he hadn’t done his job. A woman at a holiday gathering recently told me that she had eaten at Musial’s restaurant in St. Louis back in the day. While she didn’t interact with The Man personally, she remembered how great the service was in that place, the way they were very attentive to what you needed and filled your glasses and such without even being asked. You’d expect nothing less from a place that had Stan’s name out front. We hear about corporate culture coming from the top down and there is no doubt he would set a tone of service to his employees. The passing of Stan left a shadow over the 2013 season. Players wore the obligatory patches on the uniforms (white, cream or gray depending on which jersey was being used) and there were numerous remembrances of him throughout the season. It seems almost fitting that this would be the season Carpenter would break Stan’s record for doubles by a left-handed Cardinal, giving us another reason to talk about Stan and to revel in the almost uncountable records he left in his wake. 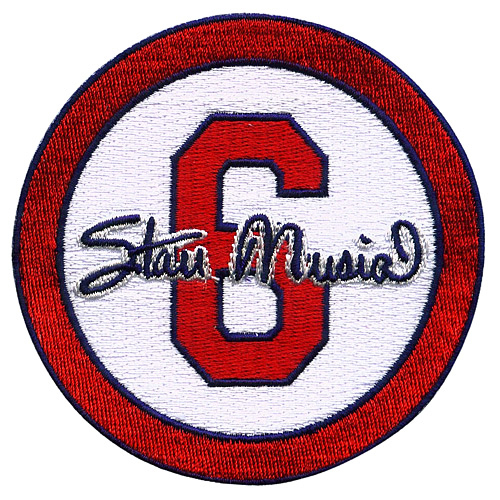 More than any other season in recent memory, Stan Musial’s legacy was discussed, analyzed, and celebrated. That makes him a worthy selection for our first Conclave Cardinal of the Year. We still miss you, Stan. The club will move on with a different focus in 2014, but you will never be forgotten, not as long as there is baseball played in a park under the Arch.